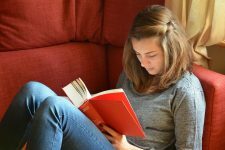 What are the main Pros and Cons of Home Schooling? 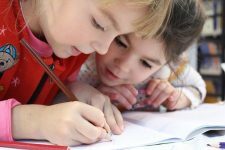 If you are trying to decide, it helps to look at a list of Pros and Cons and look at discussions of the various positive and negative aspects of home schooling. Here are some to consider. You can make the decision about what your children learn. Some parents have reservations about what is being taught in public schools and want to protect their children from certain information they deem inappropriate. They also may see a lack in what is being taught in public schools and want to enrich their child’s learning experience. You can decide how your children learn. There is no way a public school classroom can tailor its teaching style for each child. Yet each child differs. 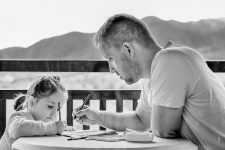 As a homeschooling parent, you can teach your child in the style that best fits him or her, and you can tweak your teaching style as needed. You get to choose the curriculum. You can decide how many books, worksheets, crafts, and so forth that your child does. You can accept or reject aspects of various curricula and/or design your own. Your child gets one-on-one instruction. Many studies through time have shown that children learn well with individual instruction. Homeschooling takes time. Not only is commitment required to the actual teaching time; depending on the curriculum, but you may also have to research and prepare lessons, download or print out worksheets and exercises, etc. You’ll also need to keep careful track of your child’s progress. This all means less time to run errands, clean the house, cook meals, work at a job, and so forth.Depending on the laws and regulations in your area, you will have to present a portfolio or submit your child to standardized testing. This means you have to keep careful records. Homeschooling can cost money. It is not only the curriculum – while some curricula are very expensive (over $1000 a year just for the study materials), others are based on free resources like library books. So the expense is not necessarily the materials, although it can be. The expense also extends into a loss of income – the parent who is teaching usually ends up spending less time at work. Disapproval and even contempt from others, unfortunately, comes with the territory of home schooling. If you tend to doubt yourself or you are overly concerned with what other people think, you may find this aspect of home schooling stressful. As you can see, there are Pros and Cons of home schooling. There are pros and cons to sending your child to public or private school, too. So the key is to figure out what works for your family.